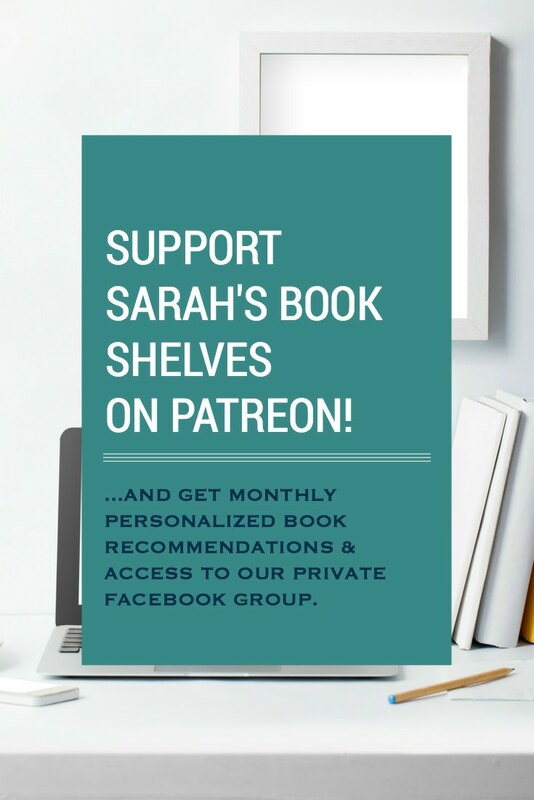 Sarah's Book Shelves - Page 95 of 111 - Helping You Live Your Best Reading Life! Every Tuesday fellow blogger Bibliophile By the Sea hosts First Chapter First Paragraph Tuesday Intros, where bloggers share the first paragraph of the book they are currently reading or thinking about reading soon. 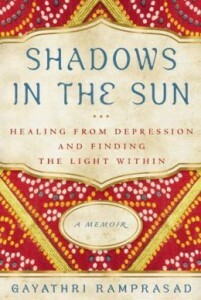 I’m participating in an upcoming online tour for this book through TLC Book Tours. I agreed to review this book because my cousin and his family are currently living in Bangalore, India, so I was curious to read about the culture there. As a young girl in Bangalore, Gayathri was surrounded by the fragrance of jasmine and flickering oil lamps, her family protected by Hindu gods and goddesses. But as she grew older, demons came forth from the dark corners of her fairytale-like kingdom—with the scariest creatures lurking within her. The daughter of a respected Brahmin family, Gayathri began to feel different. “I can hardly eat, sleep, or think straight. The only thing I can do is cry unending tears.” Her parents insisted it was all in her head. Because traditional Hindu culture has no concept of depression, no doctor could diagnose and no medicine could heal her mysterious illness. After a fall during spinning class, 39 year old Alice wakes up to find she can’t remember the last ten years of her life and embarks on a quest to figure out who she has become. I’d heard so much about this book for so long, and just like Moriarty’s The Husband’s Secret, people seemed to love it. Also like The Husband’s Secret, I just couldn’t make myself love it. The premise of the story was really interesting and raised real questions for me, but the characters bugged me and the writing never drew me in. And, this is exactly the same way I felt about The Husband’s Secret. The situation that Alice faces certainly had an impact on me – she has memories of herself from ten years ago and is astounded to discover what type of person she has since become. I absolutely thought about my own life and what my 25 year old self would think of my current self (probably that I am now incredibly boring, but I think she would be proud that I started this blog!). This book also made me realize all the stupid little things that I should be letting go that don’t matter in the long run. So, in that sense, I’m glad I read the book. 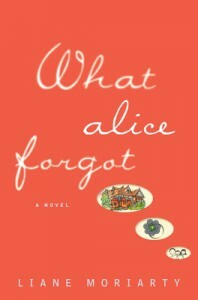 Even though What Alice Forgot did provoke some life evaluation for me, I didn’t enjoy actually reading the book (I know, this sounds bizarre…). The writing was too plain vanilla chick lit and the dialogue lacked snap. Alice’s situation could have resulted in smart, witty exchanges (particularly between Alice and Nick, her husband) and I think Moriarty missed this opportunity. I also didn’t like present day Alice – she was one of those insufferable, always trying to impress moms and reminded me of (you guessed it!) Cecilia from The Husband’s Secret. They were almost interchangeable characters for me, causing me to get a “been there, done that” feeling about present day Alice. Finally, and this could be because I had just read Brain on Fire (the medical mystery memoir of a healthy 26 year old who falls into an unexplained madness), I was dying to know what was medically wrong with Alice and why she lost those particular 10 years of memories. The book totally avoids giving any medical explanation for her dilemma (other than hitting her head in a fall off her spinning bike)…to the point where Alice never returns to the doctor after being released from the hospital despite her memory not returning. Not only is this just not credible, but including a plausible medical scenario for her condition could have been fascinating! After two tries, I think I’ve just come to the conclusion that Moriarty’s style is not my cup of tea. 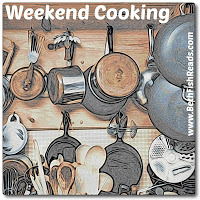 This post is part of fellow book blogger, Beth Fish Reads‘, weekly meme (a “community” blog post, for all those non-bloggers out there) called Weekend Cooking. When I lived in NYC, I often took cooking classes at the Institute of Culinary Education (formerly Peter Kump’s) on 23rd Street. They have an overwhelmingly large selection of recreational cooking classes – on every kind of food and cooking technique you can imagine and many that you’ve probably never thought of! 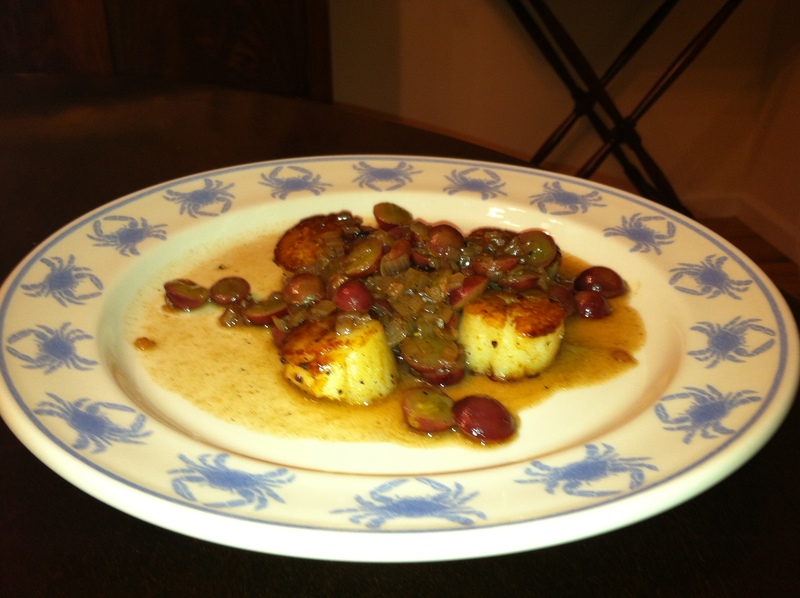 The recipe I’m posting this week (Scallops with Caramelized Grapes in White Wine Reduction Sauce) is an adaptation of one of the dishes we made in a class called “American Regional Favorites: California Wine Country”. Some of the dishes from ICE classes are admittedly too complicated or contain some hard to find ingredients for me to make at home, but this one is surprisingly simple and has a short, simple ingredient list. It’s also healthy and light! 2. Heat 2 tablespoons of butter (or vegetable oil) in a large sauté pan (I use a cast iron skillet) over medium-high heat until hot. In 2 batches, sauté half of the scallops until brown and caramelized, approximately 2 minutes on each side. Keep warm in oven. 3. Drain excess fat from the pan. Return to medium heat and add shallots to pan, and sauté until lightly caramelized. Deglaze pan with wine and reduce until almost dry. Add stock and reduce. Add the grapes to heat through. Add butter and season to taste. Note: In cooking class, the scallops were served with a cauliflower puree that was delicious. But, it takes too long to make and the scallops are just as delicious (and healthier – since the puree contains heavy cream) without it, so I always skip it. 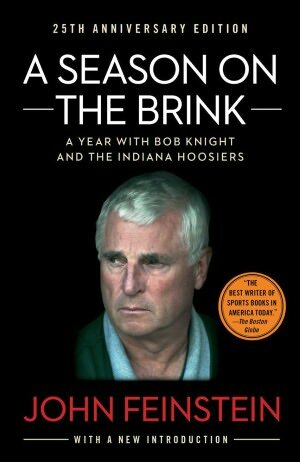 With virtually unlimited access to Bob Knight and the Indiana Hoosiers basketball team, Feinstein chronicled the 1985-86 season, his love/hate relationship with Knight, and the trials of working through a “re-building” year with an insane coach. Though A Season on the Brink came out about 25 years ago, reading it now does not feel dated at all. 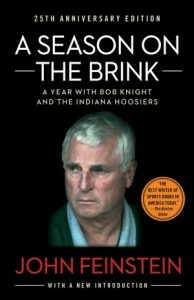 Feinstein obviously had great material to work with in the always dramatic Bob Knight – and it comes through in the book. He also picked a great year to cover – the year following Knight’s infamous chair throwing incident and one where Indiana had some tough obstacles to overcome. This backdrop provided the catalyst for exceptional (from a story telling perspective) Bob Knight antics. A Season on the Brink is on my Books for Guys and Sports Books lists. The unlikely friendship of Katey and Eve (two young women struggling in 1930′s New York) with wealthy banker Tinker Grey gives the two girls access to the world of the New York social elite. Through the first half of this book, I thought it was a lighthearted look at New York “society” in the 1930′s. This was fun and entertaining, but didn’t have much depth to it. There is a certain point where something surprising is revealed that caused me to take a fresh look at things – and that’s what made me like this book even more. It added some depth that I was missing, but not so much as to take away from the book’s fun nature. I also loved Katey’s witty commentary on NY society, which was essential to the strong “view from the outside” perspective that her character brings. 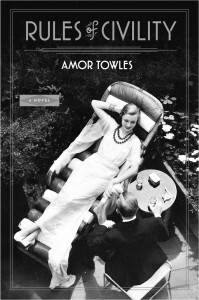 Rules of Civility is on my First Annual Summer Reading List (2013). Believe it or not, this is my first time reading a Wiley Cash novel. I decided I must give him a try ASAP after reading Beth Fish Reads’ fabulous review of this book. I’m looking forward to trying a new Southern author! A big thank you to TLC Book Tours for providing me with an electronic copy of this book and for inviting me to be a host on this tour. Bottom Line: Read it…if you’re curious about how reality TV actually works. When Lorelei, an aspiring teen actress, flees LA and her overbearing stage mother (Colleen), a spiral of drugs, thirst for fame, and slimy reality TV threaten to destroy their family. I will say up front that this book isn’t for everyone, but I agreed to review it because I’m fascinated by reality TV…or perhaps the unreality of reality TV. I follow the website RealitySteve.com and his commentary made me watch this stuff with a totally new perspective. In addition to spoiling the outcome of The Bachelor franchise before it airs, Steve makes a point to unmask the manipulation and deceitful editing that producers use to tell the “story” that will grab the highest ratings…regardless of whether that “story” is reality or not. And, it’s eye opening to say the least. 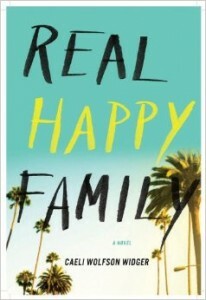 Real Happy Family takes a satirical look at this crazy world and the vulnerable people who will do almost anything for fame. Lorelei is a low/middle class girl from Fresno with stars in her eyes and a smothering “momager”, who named her after a favorite soap opera character. Both mother and daughter’s priorities are completely out of whack, causing a schism in Lorelei’s parents’ marriage. This comes to a head when Colleen has a meltdown on live TV, ruining Lorelei’s chance to become the newest cast member of a popular reality show and causing Lorelei to disappear in anger. Lorelei’s former agent, Robin, is married to Lorelei’s half brother, Darren and their marriage plays a central role in the story as well. I was drawn more to this thread than Lorelei and Colleen’s throughout the book, I think because they experience very relatable marital issues (breadwinner dynamics, fertility problems). Robin and Darren are supposed to be the voices of reason that counterbalance Colleen and Lorelei’s craziness, but they are fighting their own issues that stem from the same exploitative atmosphere that is destroying Lorelei and Colleen. I enjoyed the book most of the way through, but I wasn’t truly blown away until the very end when I read the transcript of a phone conversation between Lorelei and a reality TV producer and the “script” for a reality TV episode featuring Lorelei’s family. Having just read the “true” story, seeing the “reality TV version” of it in print left me with my mouth hanging open. This is what hit home the point of the book for me. Real Happy Family is a cautionary tale about conscienceless reality TV producers, the desperate people who believe reality TV can kickstart a “Hollywood” career, and the lengths that these people will go to “make it”, even at the expense of family, health, and morals. For those that are into this kind of stuff (as I am), this is a great choice if you’re looking for a light read. My mom came to visit this past week, which was so much fun and such a big help since my son was on break from school! My mom admittedly does not like to cook all that much, but there are a few specialty dishes that she loves to make and is known for making quite well. “Tree Bark” is one of them and it’s her “go to” for Christmas and condolence gifts. 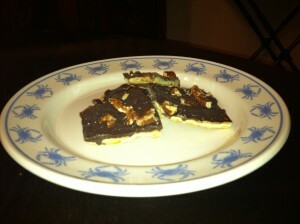 While she was in town, she made us a batch and left it in our freezer – lucky us! I have to admit that I don’t know if “Tree Bark” is the official name of this dessert or if this is just the name that has emerged from our family over the years…nevertheless, it’s what we are going with here. “Tree Bark” combines the delicious flavor combination of sweet and salty with a snappy crunch from the saltine crackers and pecans on top. Line a cookie sheet with aluminium foil. Add 1 layer of Saltines to cover the cookie sheet. Melt butter; add brown sugar; bring to boil and simmer for 3-5 minutes. Spread over Saltines. Bake for 5-7 minutes @ 400 degrees. Remove from oven, scatter chocolate chips over mixture, and spread (the raw chips will melt once your scatter them over the hot mixture from the oven). Add nuts. Refridgerate overnight on the cookie sheet. Break into small pieces to serve. Best if stored in the freezer. A fun book about how Ernest Hemingway’s time living in Paris and traveling Europe might have been viewed by his first wife, Hadley. The Paris Wife portrays the light and dark sides of the literary scene in the Paris Jazz Age and includes real-life characters from that time (F. Scott and Zelda Fitzgerald, Gertrude Stein, etc). Although I didn’t love The Sun Also Rises when I read it in high school, The Paris Wife made me want to try again with Hemingway. 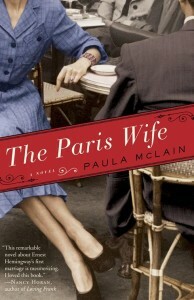 The Paris Wife is on my Book Club Recommendations List. 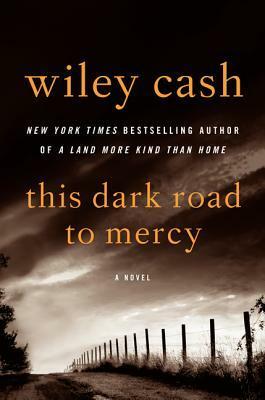 When Texas DEA contractor Jon Cantrell and his partner, Piper, attempt the largest drug bust of their careers, they meet up with Eva Ramiraz, the star witness of a drug cartel trial, and try to deliver her safely to the US Attorney. 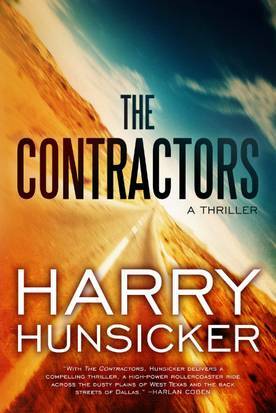 The Contractors is about the shadowy world of government contractors and their multiple allegiances. Most of the contractors in this book are ex-law enforcement, and their ability to operate “off the books” while relying on government credentials for legitimacy gives them astronomical power. 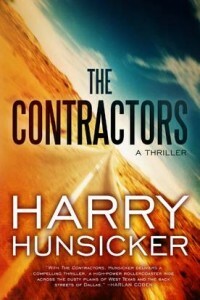 I love Nelson DeMille (who writes government and terrorism thrillers) and Hunsicker’s premise sounded similar to Demille, which is why I agreed to review this book. Unfortunately, I could never seem to get into The Contractors. It felt like it went on forever (I didn’t realize going into it that it was 500 pages) and that is definitely not how a good thriller should feel. I’ve been trying to figure out how to describe why it didn’t speak to me. And, the best way I can put it is that it’s just random…in the sense that bizarre things kept happening that were ancillary to the story. Strange characters appeared out of nowhere, caused a huge disturbance, and then vanished…never to be mentioned again. Central characters did things that made no sense, and no explanation ever cleared it up for me (for those that have read the book, Eva attacking “Goth Girl” in the gas station bathroom is an example of this). And, just plain “off the reservation” things happened that never fit organically into the story (ex: the appearance of Sadie) – even after I knew the ending. All these things just left me puzzled – and I questioned why Hunsicker chose to include them…and what exactly they were supposed to add. It made me think of Top Chef (or any cooking competition show) when the judges dock contestants for adding elements that don’t fit well into the overall dish just for the sake of adding something. I also never had a clear sense of what Jon and Piper were truly after…it just seemed like a bunch of crooked contractors and cartel personnel double crossing each other without much purpose. A police scanner that Jon and Piper acquire in the drug bust at the beginning of the book is what started the entire caper. Every party to the story wants this scanner, but I still have no idea why. Unfortunately, The Contractors did not live up to expectations for me, but may appeal to die hard fans of thrillers.